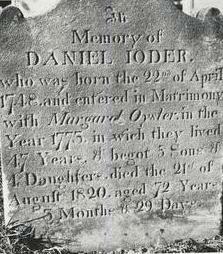 Noah Webster Yoder (YR233315) was the oldest son of Yost Yoder and Nancy Hochstetler. He was born and raised in Berlin, Ohio and in every respect a self made man. Although his parents were able and willing to provide for him he obtained a liberal education on his own. During the summer he attended select school in Shanesville and during the winter taught in country schools. He studied medicine with Dr. Pomerine of Berlin and proved to be an apt student. 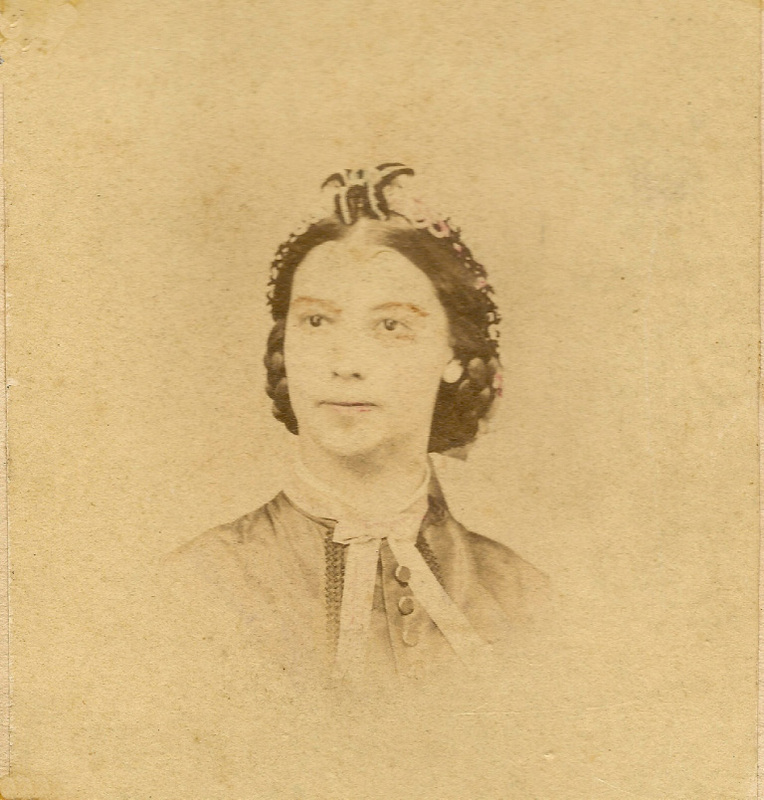 Dr Yoder married Catherine, daughter of Martin Zincon on June 6, 1861 and in October of that year he was commissioned Second Lieutenant, Co. G, 51st Ohio Volunteer Infantry, recruiting a number of men. When ordered to the front, his company of men included his brothers, Moses and Jacob. In May of 1864 Jacob fell from a boat and drowned while trying to assist some wounded soldiers. The next month Moses was wounded in battle and died a few days later. Noah led his men in many skirmishes and battles in Kentucky and Tennessee. In January 1863 at the battle of Stone River his superior officer ordered the regiment to advance over the brow of a hill and hold the position at all cost. The rebels advanced in solid mass and cut the regiment all to pieces. He was in command and refused to retreat against orders and was hit first by a large musket ball, which entered in front of the breast, fractured the left collar bone and came out at the back near the spine. A branch of the large artery which leads from the heart to the head was severed and the blood spurted at every pulsation. His knowledge of surgery served him well, and as he was slowly but surely bleeding to death, he held his finger against the artery and held it there for hours with all the force his wavering strength would permit, which saved his life. His comrades, against his earnest protest refused to abandon him on the field. In the midst of the hail of bullets and cannon balls they picked him up but were shot down one after another until at last Mr. John Hall, of Berlin, Ohio, a powerful man who had been drafted and joined the regiment only a few days before, picked him up bodily and set him against a stump with his face towards the rebels. While he was being carried in this manner a ball fractured his left leg below the knee. The enemy charged past him and nothing but the stump against which he leaned kept him from being crushed to death. A rebel officer who was in the rear of the advancing charge was attracted by his groans and upon looking at him was struck with the fine intellectual face. Noah had a remarkable, kind and striking appearance. The officer stooped down and spoke some kind words to him calling him "Pawdner," and inquired what he could do for him. The only reply that Noah could make was, "Water! For God's sake give me some water!" His thirst was caused by the loss of blood. No one that has not experienced this feeling can realize it. The officer slipped the strap of his canteen over his head, went to the river which was some distance away, brought it back and Noah was no time in draining it dry. The officer said, "I must join my command and can do nothing more for you." Noah said, "Go! God bless you." The rebels were soon driven back past Noah and as fate would have it formed their lines of battle just beyond him which left him about midway between the two firing lines and there for nine terrible hours he lay. The bullets and cannon balls from both sides passed over, round and by him. He was hit eight times. The end of his finger was cut off, the breast bone was hit, a ball passed across his bowels and in fact he was shot all to pieces and while lying on the field of battle in a helpless condition he was run over by the wheels of a cannon, which crushed his foot. He lay in the hospital at Murfreesboro for a long time and many times at the point of death. Gangrene set in his wounds, which caused great suffering, almost beyond physical endurance. An attempt was made to save his leg, which delayed and protracted his suffering a great deal. His brother Moses was his constant nurse. The surgeons in charge gave orders to stimulate said soldier with alcoholic stimulants. The administration of whisky was commenced in small quantities and increased, until he was drinking a half pint at one time. Additionally to help with his pain, and to quiet his nervous system, and to secure rest and sleep, large quantities of opium were given, which destroyed his nervous system to such an extent that it became absolutely necessary for him to use alcohol ever after. By strong will and effort on his part the opium habit was entirely abandoned. It was five long months after he was wounded that he was able to go home, where he was nursed and finally recovered enough to be able to pursue the practice of his profession. While still in the hospital he was promoted to First Lieutenant but because of his injuries resigned his commission. Being determined not to leave the service but unfit for field duty, he served a short time in the Veteran Reserve Corps in the hospital at Louisville, Kentucky. As a hospital physician he was one of the most valuable agents of the Government and many a poor soldier was indebted to him. Returning home he resumed his practice in Berlin and soon became a popular physician. At one time his name was presented for the nomination for County Treasurer but he was beaten by a few votes and of course his friends speculated that the vote was rigged against him. Dr. Yoder was recognized by the Medical Fraternity and by the people as among the best physicians in the State. 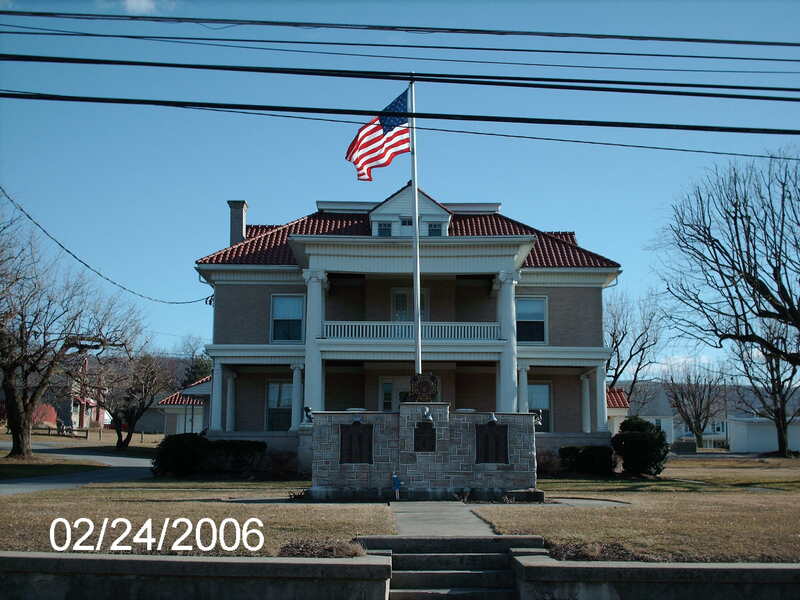 In 1871 he and S. Sharp bought out the pharmacy and medical practice of Dr. Selden and removed to Shanesville, where he remained until his tragic death. On 9 March 1877, at the age of 39, Noah lost his life by drowning. Noah set out to visit a patient, with a companion, William Shie. Upon approaching the bridge over Sugar Creek at Barr's Mill they observed that the road was covered with water but did not realize the current was swifter than normal due to recent rainfall. Noah felt it imperative to see to his patient and this was the only route available. When attempting to cross, the front wheel of the buggy went over the edge of the bridge, tipping the buggy and throwing the occupants out into the creek. Due to Noah's physical limitations, having use of only one leg and arm he was unable to swim against the strong current to safety and was washed downstream where his body was caught in a fence. His friend was able to swim to shore without much trouble. If Dr Noah ever had an enemy, no one knew of it. He was generous to the poor and the rich alike and never refused his services when called upon. He was very much beloved by the entire community. His memory will ever remain in the hearts of his family. The story of the short tragic life of Dr Noah Webster Yoder will continue to be passed down through the generations and he will never be forgotten. Four years after the death of her husband Catherine and their son Miltie lost their lives in a terrible accident. 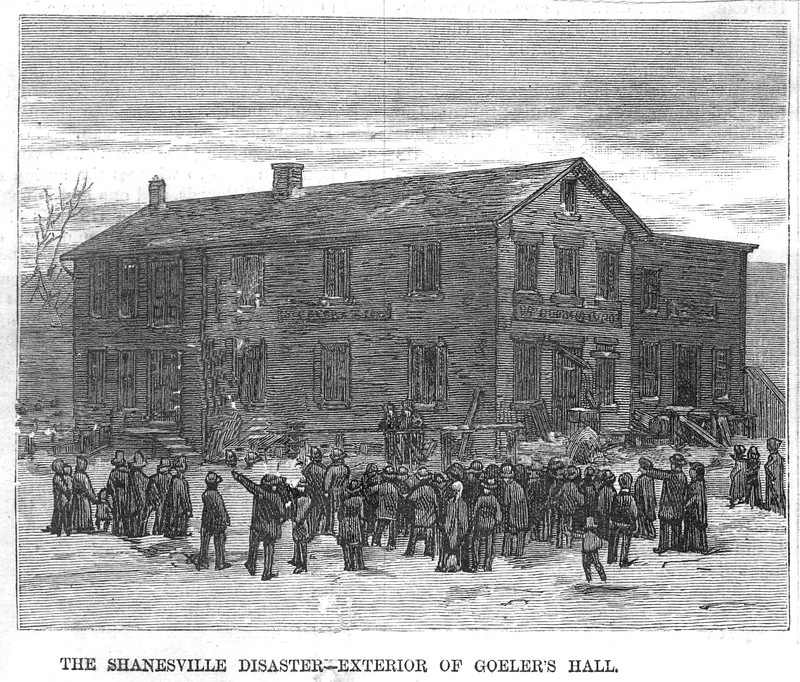 On New Years Eve the Knights of Pythias held a festival at Henry Goelers Hall on the second floor of his store. Two to three hundred people had gathered for a grand supper, to listen to the band and to purchase articles for sale. As the band finished playing there was a loud crash. The floor began collapsing in the center throwing people, tables, stove and all to the floor below, piling the people into a space about four feet wide. Many were able to scramble away to the outer edges of the room. When the floor collapsed the chandelier below broke covering a number of persons with oil and immediately burst into flames due to the embers from the stove. Miltie was terribly burned and died in his mother’s arms within minutes. Catherine lingered for six days finally succumbing to her burns. In all five people were burned to death. Noah and Catherine were the parents of three sons and four daughters. None of their sons survived to adulthood. Noah's four daughters became orphaned and destitute when their mother died. The girls were separated and sent to various institutions until they became of age. After Noah left the army he received a military pension of $15.00 per month. After his death Catherine was denied a widow's pension on grounds that his death was not military related. Life became very difficult for the family and the children had to work in order to survive. Noah’s brother Sam made every effort to obtain benefits for the girls. It literally took an Act of Congress and ten long years after Noah's death for his orphaned daughters to receive his pension. 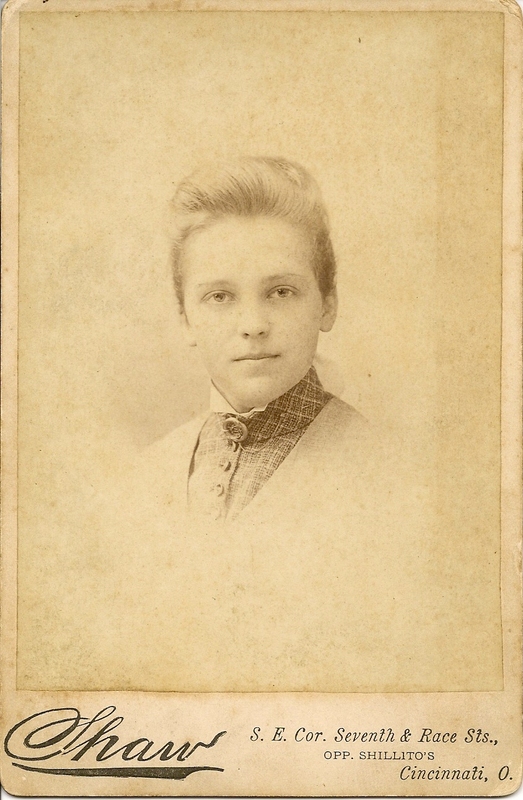 Ellsworth Yoder, born in 1864 lived only one month. Minnie De Yoder married Osmon E Allen and had five children. 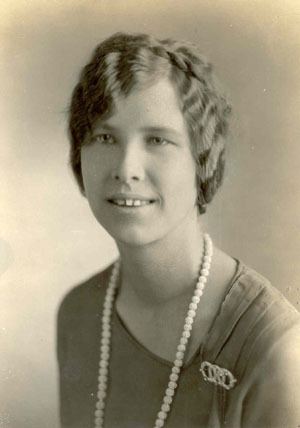 Mildred Mary Yoder never married, became a school teacher living most of her life in Hawaii. 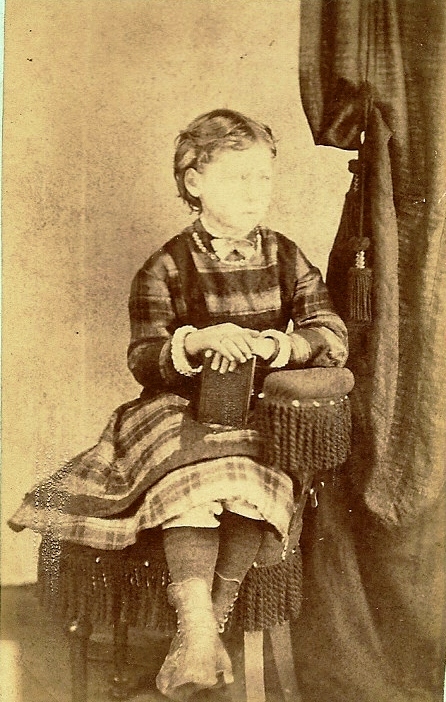 Leonidas Mac Yoder died at the age of seven. 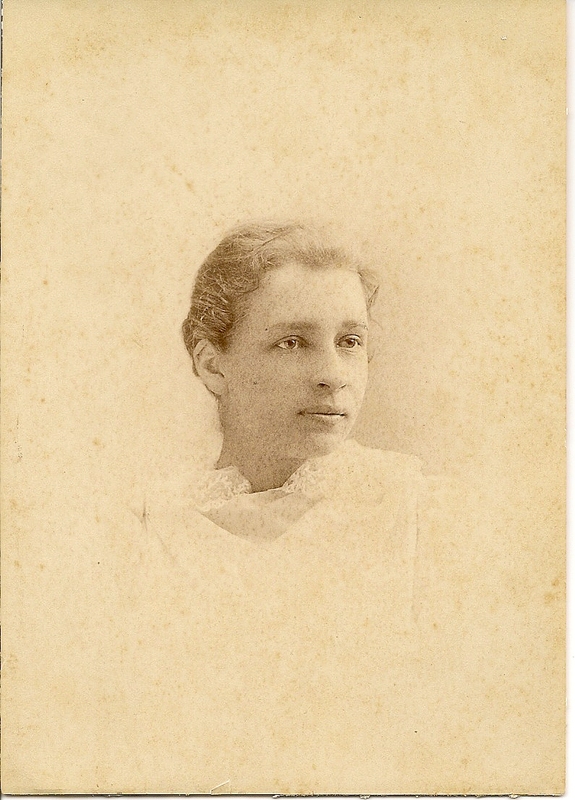 Mila Elizabeth Yoder married Charles Lewden Sawyer and had two sons. Tragically on December 31, 1929 her husband took his own life. Virgirlia Yoder married William Henry Self and had two sons. 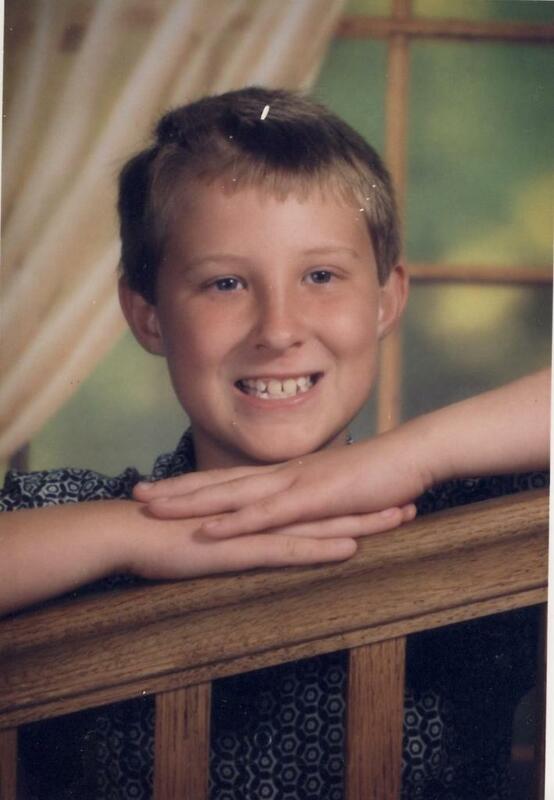 Miltiades Yoder died at the age of seven in the KP Hall fire. Robert Baecher, in the Jan and Apr 2004 issues of Mennonite Family History, presents a wonderful two-part article entitled “From Steffisburg to Ste. Marie-aux-Mines: The Exodus of Those Who Would Become Amish.” After more than fifteen years of researching the French and Swiss Anabaptists he notes that “Steffisburg emerged as a reservoir that nourished the group whose members became the first followers of Jacob Ammann.” He outlines 48 individuals or families with Steffisburg roots which appear in the early Jacob Ammann group at Ste. Marie-aux-Mines. Over the years, the YNL has outlined a number of the records which connect members of the Steffisburg Yoder family to the Anabaptists, and to association with Jacob Ammann, but Baecher provides details which gives more evidence of this Steffisburg connection. preacher, was arrested and imprisoned in Basel in 1531. Baecher cites an “awakening” in the area which began about 1680 and continued on into the early 1690s, when over 40 families from Steffisburg would depart. He mentions local Anabaptist leaders who had emerged by that time such as Isaak Kauffmann (forebear of the Kauffmans of Berks County who owned adjacent property to Yoders in the Northkill Amish Congregation), Jost Joder and his brother-in-law Christian Blanck. It is not known when Jacob Amman first came in contact with the Steiffisburg Anabaptists, but Baecher reports that Michael Ammann, father of Jacob, lived for a time at Steffisburg before his death at Baldenheim in 1695. He does not find Jacob mentioned in the meeting minutes of the Steffisburg Consistory, which would have been the case had he been active as a local instigator. Jacob was living at Hilterfingen until he relocated in early 1680, “probably to the Rhine plain at Heidolsheim.” It was only later that he became a religious leader of consequence and conflict. On June 6, 1690, the wife of Jacob Engelmann of Thun (not far from Steffisburg) was brought before the Consistory there to answer to having contact with “the sect of Anabaptists”. She admitted that she and two other women had visited a home in Steffisburg located opposite the inn which belonged to someone named Joder. There she had talked with Jaggi (Jacob) Ammann, an Anabaptist, and listened to what he had to say. One of the other women added that “Apart from Jakob Ammann, she had not seen a single outsider.” The court tried to get the women to name the owner of the house or identify other who were present, but nothing more was learned. Why was Ste. Marie-aux-Mines selected as a destination? Baecher writes that an Alsatian Anabaptist named Adolphe Schmidt had a friendly relationship with the local Lords of Rappoltstein, and facilitated the settlement of several Steffisburg Anabaptists before Ammann’s group, Christian Gerber by 1671 and Ulrich Mueller (arrested in Steffisburg in 1674 as an “Anabaptist teacher”) who can be found in the Alsace by 1674. A prime reference which Baecher uses is a 1703 listing of the people in Jacob Ammann’s group, which he believes was recorded by Christian Joder (Y68 above). Many surnames recognizable in the American Amish can be seen. Christian Joder is the only male Joder still in the community at that time. The chart above shows the believed children of brothers Jost and Nicholas Joder of Steffisburg as spelled out in AAMG (with exception that we have switched which Jost was the son of which brother, leave Caspar’s wife name blank and show an alternate suggested wife for Nicholas’s son Jost). One problem with all reputed delineations of these families is that many of the relationships are assumptions. A Jacob Joder is born to a couple and 24 years later a Jacob Joder is married. Assumptions are made that they are the same person. Y64- Peter Joder- in Ste. Marie-aux-Mines proper, a Peter Joder purchased a house at Fertrupt in 1699, but is not shown afterward. Y68- Christian Joder- by 1698, is included on the 1703 list, and is the believed scribe of it. He was a long-time lease-manager in Fertrupt from 1701 to 1712, at which time he left for Montbeliard. Y6a- Jost Joder who married Barbara Rupp- traces found in 1695 at Muntzenheim in Alsace, probably went to the County of Ville. Y6b- Caspar Joder settled at Weiler near Wissembourg, where he and wife are shown in 1708 with 9 children, listed as “well to do” (This Caspar seems certain to be the Anabaptist son of Jost Yoder, but NOT the Caspar who married Verena Stauffer in Steffisburg in 1681. That fellow and his children appear to have stayed in Steffisburg and records show he died there in 1735. The “Weiler Caspar” may be the Anabaptist Caspar Joder who, with his wife Verena Hoffin (Hoffer), had a male child born Mar. 20, 1695 at Durrenentzen. The child died unbaptized on May 31, 1695. We’ll have more to say more about the new Caspar Joder – Verena Stauffer evidence in the April 2010 YNL). Y6c- Catherin Joder married to Hans Rupp- Hans appears on the list of 1703. In 1712 there was a royal order of expulsion from French territories which effected the Anabaptists at Ste. Marie-aux-Mines, and many of the Ammann group moved elsewhere at that time. The Jan and Apr issues of Mennonite Family History which contain Mr. Baecher’s articles can be ordered from: Masthof Bookstore, 219 Mill Road, Morgantown, PA 19543. The YNL recently purchased a CD-ROM version of the Steffisburg baptismal, marriage and death records. With the help of Bruce W. Stahly, we’ve updated several of our Steffisburg data files at the Yoder on line site (www.yodernewsletter.org) and added a “Death Register of Steffisburg, Switzerland 1728-1792”. My father’s parents lived with us when I was a little girl, and one of my earliest memories is of Grandma sitting at her north window, poring over the Hochstetler book of 1912. At the dinner table she often told us of the interesting stories and connections that she found there. From her I first learned that she too had a grandma, who had a grandma, and so on as far back as I could imagine. The idea was mind-boggling. As I heard her conversation with the adults I felt the past must have been an interesting place, where people somehow connected to me got up and had breakfast, did the chores, gathered in the crops, and drove to church in horse-drawn vehicles same as we did! I remember that at that time Uncle John Weaver, studying at Indiana University, wrote home for some information about his Yoder background. To this day I wonder why he, taking graduate courses in math and business, should be asking such unrelated questions (or some reason I wonder whether it was about intermarriages) – Anyway, I’ll never know. Grandma dug up some old yellow pages, translated the German for Aunt Vinora, who typed the information and sent it on to Uncle John. I watched the whole process with great interest. After Grandpas were gone and Uncle John would call on us we could see how he was more interested in Yoders than ever. He was taking down data about our families and even families of Yoders around us that he thought were connected. By that time I knew that Grandma was the child of second cousins, both of whom being Yoders. I found out that my parents were also second cousins, but neither had the Yoder name. Their grandmothers were Yoder sisters, born back in Somerset County, Pennsylvania – Magdalena and Catherine (“Motty and Cotty”). 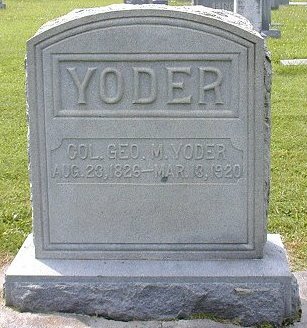 Any reference to my ancestry then made me think Yoder before any other name. Years later, I was married and living in Columbus, Ohio, where my husband and I were students at Ohio State University. I had completed my work for a Master’s by 1935, but Leonard had another year to go for his PhD. That gave me a year to play. I no longer have any idea how I found such an interesting spot in one of the capitol buildings down town. It must have been like a state library, with its old papers and magazines. I was surprised to find an item about Yoder pioneers that we knew nothing about and I thought Uncle John would be interested. He did indeed encourage me to send him any tid-bit I could find. At that time I had not yet learned that not everything in print was reliable. Many years later those tid-bits had to be painfully corrected or discarded. I remember that in the 1940’s, when we were living in Kansas, Uncle John came to attend a big Yoder reunion in the next county. We took him there and I enjoyed the occasion. I have a vague memory of his giving the audience some Yoder background. The event kept my interest in Yoders alive but I was so occupied with other things. Years passed. By 1950 Uncle John and I both lived in Ohio. He had lost his wife and his children were grown. After many years of teaching commercial subjects at Goshen High School, he was now in retirement, helping out in the business office at Bluffton College and enjoying conversation about genealogy with Dr. Delbert Gratz, the College librarian. I was a busy mother in those days, so involved in family and church work as well as active in the community and several peace organizations. I was also asked to write the history of the local church, which led me into a study of the Mennonites of Medina County. This involved Leonard’s people on both sides of the house. Leonard’s mother and old Uncle Joe Kreider in California encouraged me to develop family trees and were helpful in organizing information. In the midst of all this Uncle John gave me a surprise visit. I was glad to see him; he was a special uncle. He had with him a box about eighteen inches square, and not quite so high, which held his Yoder papers. Although he was interested in the larger picture of Yoders, he wisely decided to concentrate on only a small segment of it. He planned to get out a booklet of Christian Yoder (Grandma’s grandfather-YR233) and his descendants and asked whether I would help him with it. I wonder whether he felt a little overwhelmed to have gathered around fifty or more Mary Miller names and perhaps a dozen or more Jacob Yoders, with no number system or index. At the time I knew which in the line of Christian Yoders he was choosing as the progenitor for the outline. The project was within reach and appealed to me. I knew I would enjoy working with Uncle John, but I had to admit that I could not undertake any more just then. 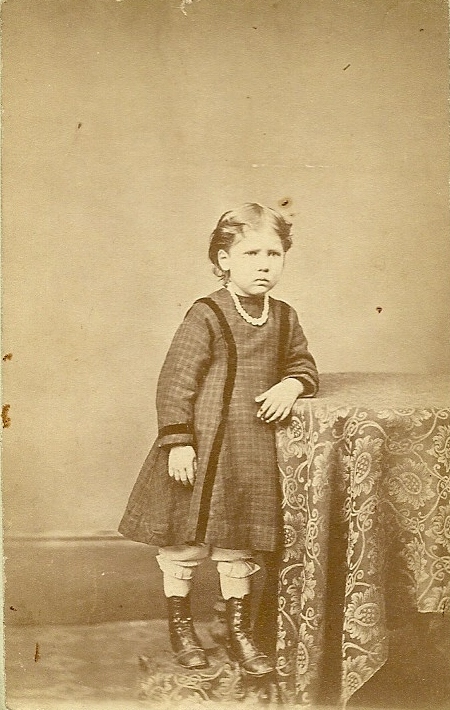 My health was a little below par and the children, though growing up fast, still required considerable attention. He assured me that he was in no hurry. As soon as I saw my way clear I was to send him word. And I put the box away. Within a year or two word came that Uncle John had died (Sep. 3., 1955). Living alone, he had a heart attack while putting up screens and was not found for a day or two. I really grieved for him and I felt I had let him down. I got out the box and examined the contents much more carefully. 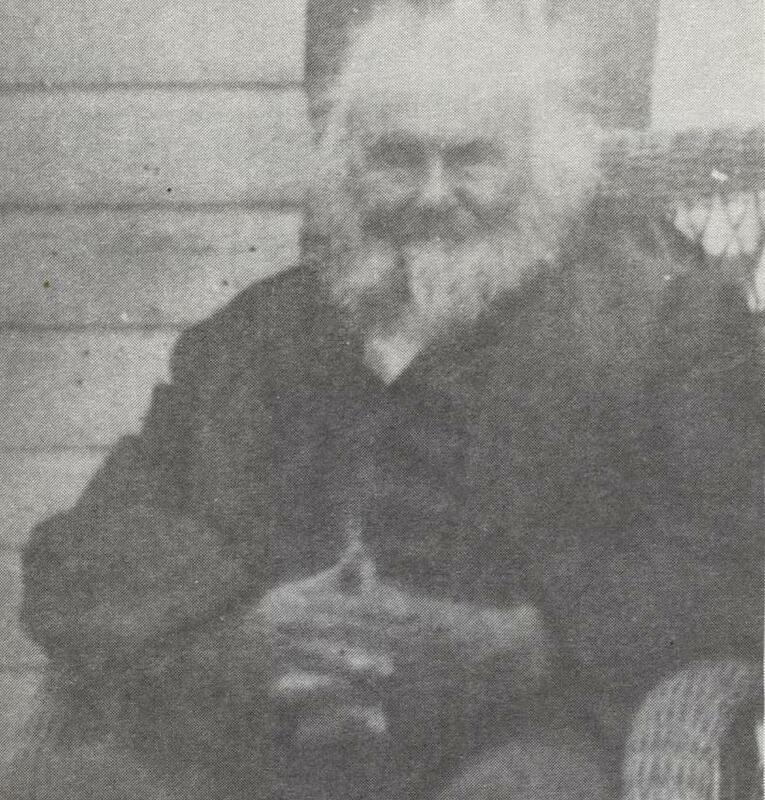 Grandma’s Uncle Reuben Yoder, a highly intelligent and innovating Amish man, who had come from Somerset County to LaGrange County in Indiana in 1851, had compiled or received a list of fifteen children considered to be the first family in our Yoder ancestry to be in America. I never knew how Uncle John got this list but I knew he was greatly interested in it even though he knew so little about most of the names. He knew that he was descended from the oldest two sons and wanted to know everything he possibly could about Christian of 1758. He listed the children and yet I doubt whether he intended his booklet to be that large. He had accumulated the practice papers of his typing pupils, cut each page in half and one each half-sheet outlined a family. When he had listed the families of a small clan he folded a whole sheet over them to hold them together, and labeled it – all in pencil! This time I did not put the box far away even though I could not give it much time. I decided I would put the information in more permanent form and I would probably leave it with Dr. Gratz. I had seen enough of the data to notice the great gaps of information, some of which I could fill myself on the back of each. I also knew of sources easily within reach that I could draw on as I carried out other duties, without going out of my way. However, in all my years, I always gave my family and church priority. Thus when we were taking trips as a family, I had to remember I was only one of five. I would feel so frustrated when we would pass a cemetery or court house that could no doubt yield good information but family fun had to come first. Occasionally I would have some time to copy some of Uncle John’s papers in ink but progress was very slow. I nevertheless already knew how much fun it could be to solve family -history puzzles. Fortunately for me, Leonard was elected to the Board of Trustees at Bluffton College. This meant that he would be taking trips to the campus twice a year and staying more than a day each time. By then I knew that in order to understand Yoders I would have to know more about Millers, Troyers, Schrocks, etc., etc. If I would accompany him to Bluffton there was nothing more profitable for me to do there than to copy what I needed in the Historical Library and I could do it with a clear conscience! Dr. Gratz was very accommodating, showing me new books and making suggestions. I think we both wordlessly assumed that the final project would eventually be left with him. By now I was becoming addicted to genealogy. Even before this I had come to a point where I had jobs or connections that took me to meetings out of town or even out-of-state. I could manage some of these quite well, but I had two unfortunate train experiences and I was too timid to drive into an unfamiliar city, struggle with urban traffic, and find some address. I remember driving into Cleveland to a meeting of the WILPF (Jane Addams peace organization) and my heart was in my mouth all the way. I decided I was too busy and that I was not that important in these larger organizations. I could make satisfactory contributions in my small world closer home! As the 1960’s progressed, the nest became empty. Now when only two of us were making a trip, Leonard even volunteered to help me copy if I made a pleasant discovery somewhere. He was not particularly interested in my hobby any more that I was his, but we were cooperative. On his own he provided better lighting for me and more files. I was never tempted to use those extra hours in retirement in bridge, shopping, golf, or teas, which so many women enjoyed but it did occur to me that my hobby was not helping the worthy causes any more than theirs! I thought I had better just keep quiet about it. 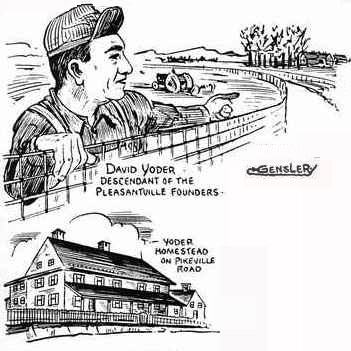 By the 1970’s I had multiplied Uncle John’s papers “many many times over.” I had found a number of other Yoder genealogists and my hobby was out in the open. In the voluminous correspondence of the time I received one day a letter from Chris Yoder, a young man who lived in Michigan. He was working on a history of his great- grandfather and descendants, Reuben Yoder (1831-1912) –Grandma’s Uncle Reuben!! Chris was in the forefront of using computers, which were not as common then as now. He had all the qualifications to do extremely well with the Yoder history that interested so many of us. His great-grandfather Reuben had supplied that seed-list and Uncle John had nurtured seedlings. I was able to develop some branches. It was so right and appropriate that Chris should take from that whatever he found of use and it was plain to see that he would multiply the fruit “many, many times over.” In due time he would become the Yoder historian and authority of the country and beyond. Congratulations to the editor of our YNL! Cheers!! YNL INCREASES PRICE! After 25 years we have finally decided to increase the subscription price for the Yoder Newsletter from $3 per year to $5 per year. This price is effective with renewals beginning with YNL50. Subscriptions already in effect will continue without adjustment. Please continue your support of the YNL! 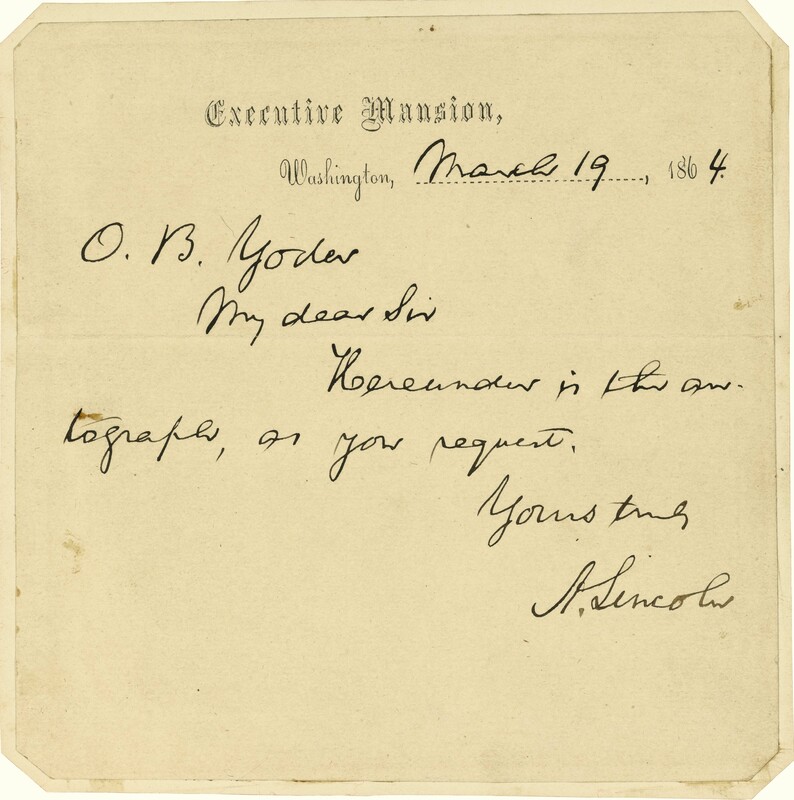 ABRAHAM LINCOLN AND - WHO WAS THIS YODER? We’ve received the interesting Yoder Newsletter for many years. We belong to the Oley, PA Yoder group. My husband is a 30 year regular Air Force officer, retired bomber pilot, age 93. Thanks to Esther Strock for sharing her findings that the Joseph Yoder (YB1132) (1814-1900) and Elizabeth Hiestand marriage was listed among the announcements (Verheirateing) in a German newspaper called "Friedens Bote" dated 22 Sept 1831. They moved from their home in Lehigh County, PA to Medina Co., OH where Elizabeth died in 1868. Joseph lived until 1900, died in Clay Co., IN, but was buried beside his wife at the Wadsworth Mennonite Cemetery, Medina Co., OH. Hello from the Oley Yoder Heritage Association! Our annual reunion was held on Saturday, July 18, in the Social Hall of the Oley Fire Hall in Oley, Pennsylvania. President Joe Yoder, called the meeting to order. The “formal” meeting was followed by a home-cooked meal served by the ladies of the fire hall. The meal the musical group, the Boombadiers, entertained. After the enthusiastic entertainment, we ended the day with awards to the oldest, Col. Harry Yoder, and youngest, Rich Kaehn, attendees. HAVE YOU GIVEN YOUR FAVORITE YODERS GIFT SUBSCRIPTIONS? Thanks to those who have helped fund the additional DNA testing! The “Find-A-Grave” web site allows you to: post the name and dates of your ancestor in the cemetery where he or she rests; to add his or her photo; to add a photo of the gravestone; and to post a biographical summary or obituary. 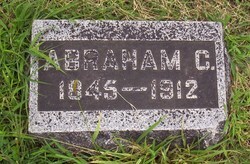 Visit the site at: www.findagrave.com . Already recorded are internments for: 3974 (an increase of +649 from Apr.) –Yoder; 119 (+19) – Yother; 33 (+7) – Yothers;- 69 (+7) – Yotter; 15 (+1) – Yoter; 33 (+6) – Yoders;, 6 (+0) – Ioder; 16 (+2) – Joder; 6 (+0) - Jotter family members. As a part of this total, we’ve just posted the records for Pleasantville Union Cemetery in Berks County. You can either add your ancestor to a cemetery, or post data on an existing record. For assistance write: Chris Yoder at: cyoder@tds.net . 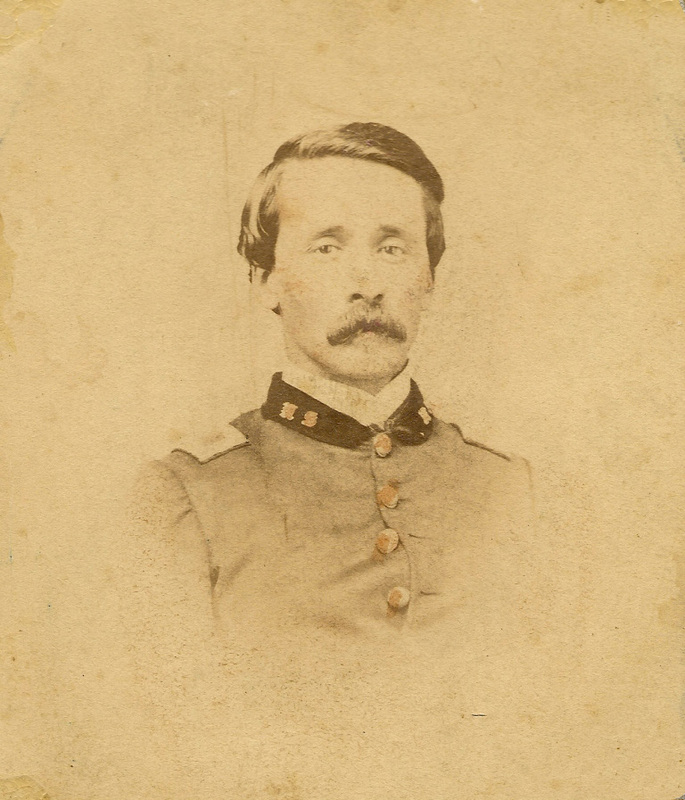 Col. George M. Yoder (8/23/1826-3/12/1920) (Con141) Grace Luth. Cem., Newton, Catawba Co., NC. At the time of his death, the Hickory Daily Record wrote he was "one of the most remarkable citizens of North Carolina… The old gentleman was interested in everything, it seemed, and during his long life assimilated a store of assorted knowledge that was the envy of all who knew him." OLEY YODER HOMESTEAD - LAST IN BERKS COUNTY TO STAY IN FAMILY HANDS!! -Royal Francis Yoder (YR233748-) d. Dec. 16, 2007 in McPherson, KS, three days after his 100th birthday. Farmed for most of his life on the same farm in Hayes Twp., McPherson Co, KS where he was born and raised. -A. Lois Weaver, age 92, Goshen, d July 8. 2009. She was the daughter of Bishop David Yoder (YB137812) and put together a book of the Henry B. Yoder clan of the Bucks Co. line. The first DNA test result of the YR17 (John Yoder who married Anna [Berkey?]) line did not show the “Amish mutation” at marker 19 (a value of “16” vs a value of “15” shared by the other immigrant lines). Tests have been completed by descendants of two other sons of YR17, and these DO match to the Amish profile. It is apparent from this that John himself DID have the same “16” value as his male siblings, and that the reversion to “15” occurred further down the YR177 line. In all of the testing, another example of a reversion on this marker can be seen in one of the YR25 lines. 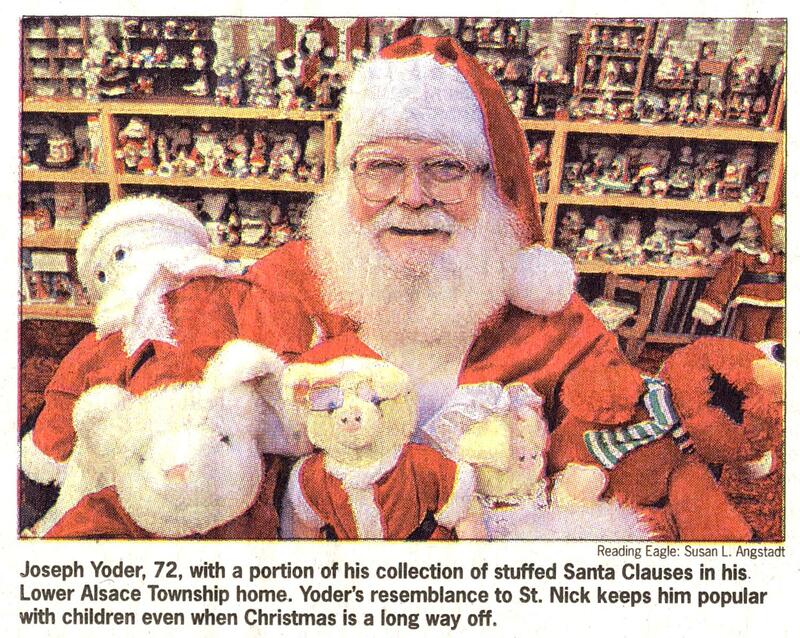 Christmas never ends for Joe Yoder. Wherever he goes – seven days a week, 365 days a year – the 72-year-old retired cabinet maker spreads Christmas cheer. His snow-white beard, rotund frame and jolly demeanor give the Lower Alsace Township resident the unmistakable aura of a real-life Santa Claus. … Once a year… he dons the traditional red suit and black boots to hear Christmas wishes from children in the Lower Alsace Fire Company. Thanks to the Reading Eagle for permission to run this photo and article extracts. Joe has served as President of the Oley Yoders and has welcomed family members to the two National Yoder Reunions which they have hosted. Capt. Joseph Yoder (YA1) was an Alsatian Yoder immigrant of Amish-Mennonite background, with the distinction of having served as a cavalry officer in the Army of Napoleon (see YNL 7). Test results have been received from the lines of two of his sons, Joseph (YA11) and Andrew (YA14). Each matches to the other, which gives us the profile of their common ancestor (Capt. Joseph). This profile, however, does not match to the other Yoder lines tested to date. This means that if the Joder surname in this line originated in Steffisburg, that in the ancestry at or before Capt. Joseph there was an event like an unrecorded adoption. Capt. Joseph was researched for many years by the late Edith Joder of France. From what is known at this point, he is believed to be the son of Hans Yoder (d. 1804) and Katharina Klopfenstein (1753-1802). 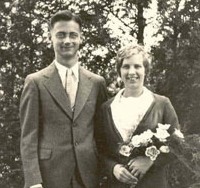 Hans’s parents are reported in the Belfort church record book to have been Christian Yoder and Barbara Gerig. Christian J. Yoder, known as “Bee Christ” because he kept bees for honey, was born in 1827 in Belfort France to Christian Joder and Maria Joder. His parents were first cousins. The family came to Wayne Co., OH in 1828. Christian (1795-1850) (YA3) was the son of Christ Joder (1750-1819) and Elizabeth Lehman (1755-1810) and grandson of Christ Joder (c1720-1797 Belfort, FR) and Anne Hochstetler. At this point, further ancestry has not been established. Our first DNA test from a descendant has proven that “Bee Christ” and his male ancestors match to the Amish Yoder profile (the value “16” at marker “19”). In this respect he is matches one of the other handful of Alsatian Joder tests which was done on a descendant of Jonathan Yoder (YA4). Jonathan was the son of Joseph Joder (1752-1825 Hirtzbach ,F) and Marie Stucky, who was the son of Jean Joder (1714-1767) and Frena Zimmermann, who is believed the son of a Jost Joder living in the Alsace. One researcher claims that the parents of this Jost were Hans Joder who married Catherine Reusser/Risser, but others have not found evidence of this. So far, descendants of the Caspar Joder b. 1664 (Y6b- the fellow referenced in the Jacob Amman article) have also matched to this marker, as have YR1, YR2, and YRB. This would appear to indicate a common male ancestor for Caspar and these two families of Alsatian Joders as the origin point for the mutation. We’ve discussed the problems with linking these families as currently defined, and are still hoping for more tests from European Joder representatives to help figure this out.